I have been having fun for a number of years baking country style breads. 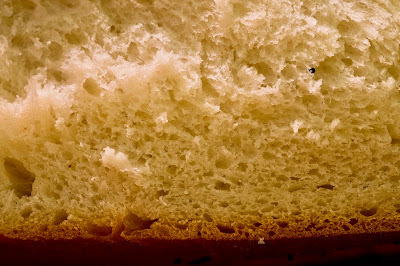 First, Jim Lahey's no-knead bread, as taught at length in his My Bread, then Chad Robertson's, as taught in his Tartine Bread and Tartine Book No. 3. Lahey's bread uses 1/4 teaspoon of yeast per loaf, abnd relies on a long, slow (12-18 hour) rise to get the necessary gluten development. Robertson's uses natural leavain starter instead of yeast. Lahey's is easy and produces excellent bread: Robertson's is hard, but produces a loaf of great complexity and interest, worth the trouble. Recently I read Molly on the Range, in which Molly Yeh, who is half Jewish and half Chinese, has a number of challah recipes, and determined to make one or more of them. 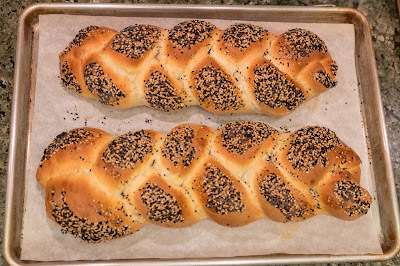 Then Molly recently said on her blog, My Name Is Yeh that she had encountered the challah made by Uri Scheft, owner of Lehanim Bakery in Tel Aviv and Breads Bakery in New York City, and concluded: "it was the best challah ever and i swore off my own challah recipe. byeeeee." Not bad looking, but I did not use enough egg wash so the loaves did not shine they way they should have. 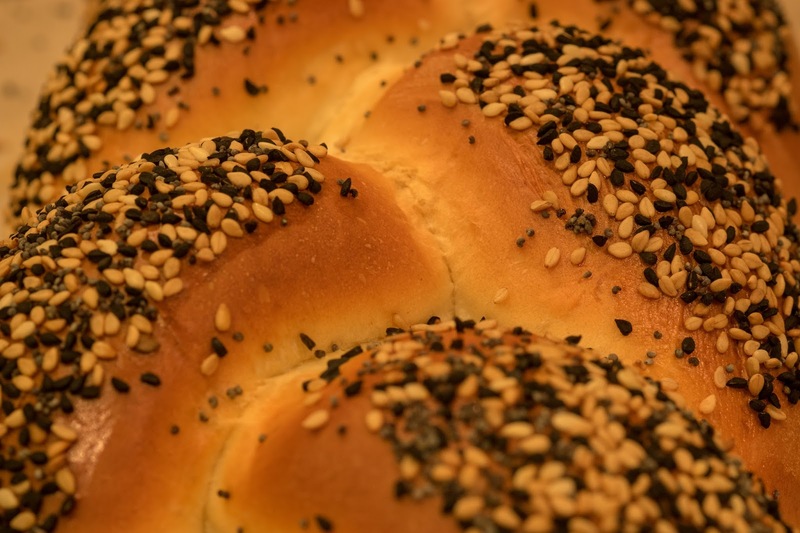 More important, although the taste was fine, the texture was not quite right, a bit dry and not the "very tender bread that pulls apart in cottony strands" that Scheft describes. I made the loaves with butter instead of oil, which is traditional because challah is generally eaten with meat dishes and dairy and meat don't go together in Kosher tradition. 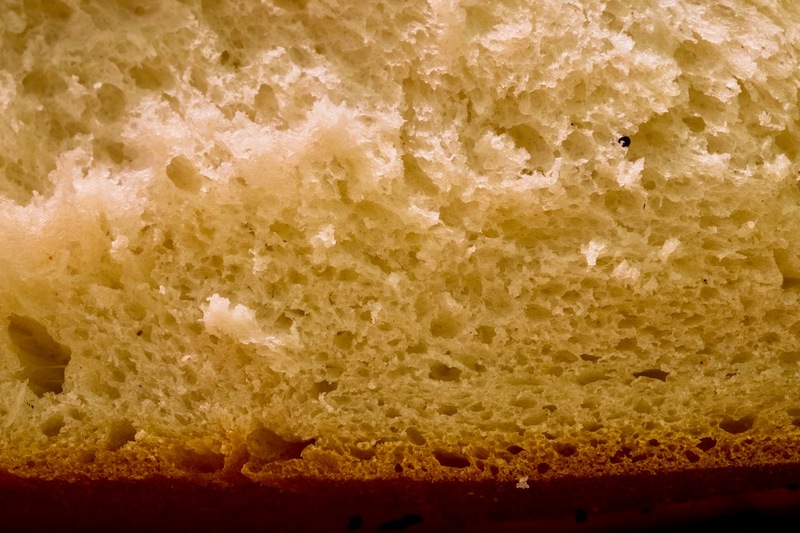 While Scheft says using butter makes for a richer and more tender loaf, I wonder whether that choice was wise. Even good European style butter has about 16% water, so using the same weight of butter as oil results in less oil in the bread. I determined to use oil next time. Today I tried again changing two things. First, I put a heavier coating of egg wash atop the bread, and yes, it was shinier, although I have room to improve on that score. A side benefit of a heavier coating of egg was that more seeds adhered to the surface. 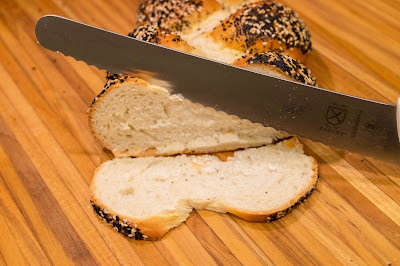 My second change was to use grape seed oil instead of butter, which, as I had guessed, resulted in a delicate and tender crumb. Scheft's challah tastes great and keeps well if stored in a plastic bag with the cut end covered. And compared to Robertson's natural leavain bread, which requires daily feeding of your starter and 22 hours once you decide to make the bread, its simplicity itself. Less than three hours from start to finish. 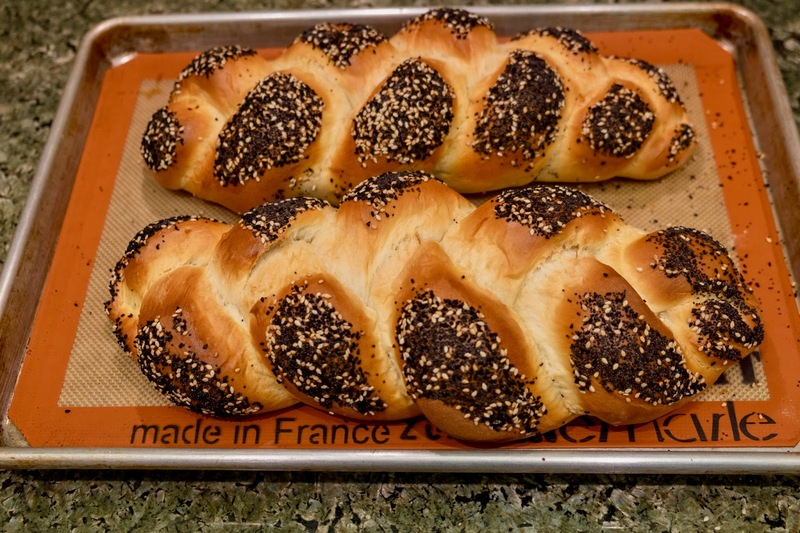 Scheft's book has many variations on challah, then an extensive chapter on babka, many exotic flatbread techniques, etc. Lots to think about and try. In the meantime, more challah is definitely in the picture.